May is typically one of my favorite months and this year was no different. 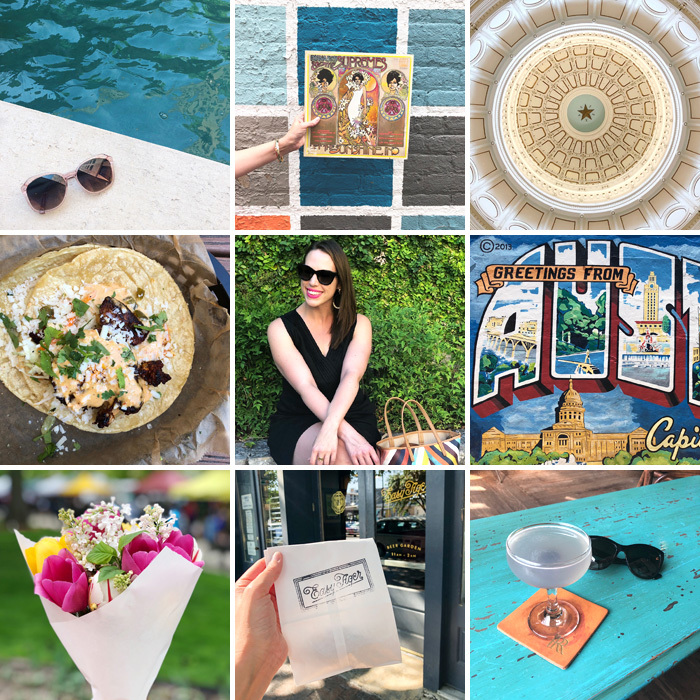 I had the opportunity to take a Prius for a spin and explore Madison like a tourist, we had a fun “house crawl” outing with our awesome neighborhood friends who we met less than a year ago, I turned 35, and we visited Austin to celebrate. Went for a birthday dip in the pool to cool off from the sweltering Austin heat, and purchased a pair of pink sunglasses to celebrate. Spent the afternoon meandering around Madison, which typically includes a stop at the record shop. Visited the Texas State Capitol. I know it’s supposed to be an impressive one, but we get spoiled in Madison with our own. Stood in line for way too long to get Torchy’s Tacos on Memorial Day, but the queso and the ahi tuna taco more than made up for it. Celebrate the start to year 35! Found the “Greetings from Austin” mural, even though it was too sunny to take decent photos of ourselves in front of it. Picked up flowers from the farmers’ market in Madison. Frequented Easy Tiger in Austin. We went every day on our trip, either for coffee and pastries in the morning or for beer and snacks in the evening. Sipped on one of my favorite cocktails: the Aviation. Paint two more doors, remove the paint from their hardware, and hang. Order hardware for the upstairs built-in. I’m going to go with these. Purchase the remaining three sconces for our living room when we visit Portland at the end of the month.